Quite often we ask ourselves hard to answer questions, like, “What is a sonofabitch?” A picture is worth a thousand words. 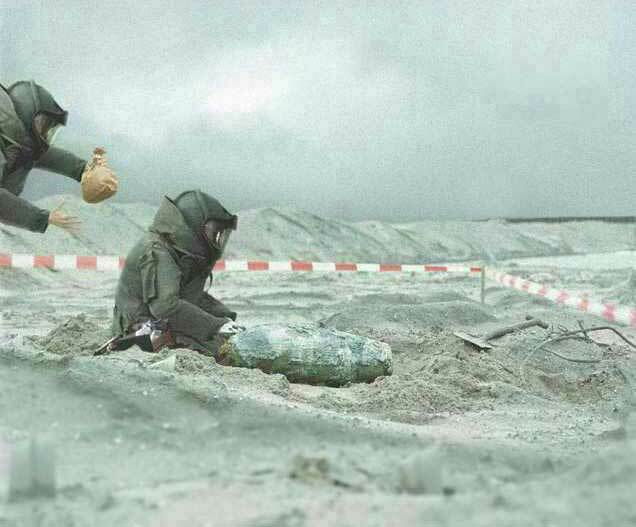 In this photo, the bloke on the right is a member of a bomb squad in the midst of a deactivation. The bloke behind him, well, he’s a sonofabitch. Created about 14 yrs, 9 mths ago (July 6, 2004). Updated about 7 yrs, 17 days ago (April 1, 2012).